Make Your Wine Gifts Better With This 100% Cotton, Canvas Wine Sac. You Can Even Wrap Your Bottles To Make Your Homemade Wine Even More Special. GREAT GIFT IDEA: Wine... Simply one of the best gifts that can be received. 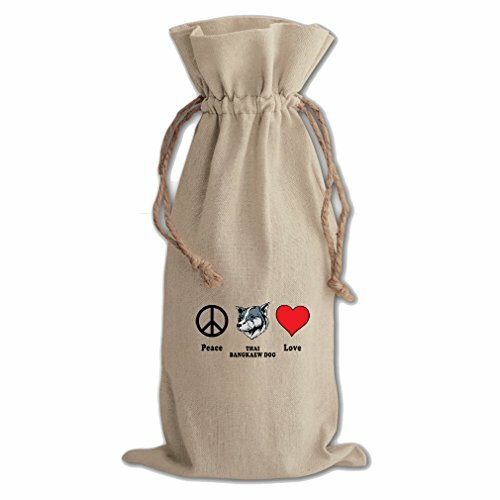 Make it even better by packaging that bottle of wine in this 100% cotton, canvas wine sac. Buy many to use as creative packaging for your homemade wine, or buy a few to give as hostess gifts. Use them to wrap bottles of wine as wedding party favors . The opportunities are endless. PERFECT WINE BAG: The 100% cotton canvas wine bag dimesions are 6.5"Wx 19"H perfect to hold from pinot noir to riesling bottles. The canvas texture will add a country sensation that will make it look like the bottle come directly from the vineyard. Not only you can use it to hold your wine bottles, you can use it to hold spirits drinks. GOING GREEN: Perfect as a reusable wine holder bag perfect for beach occasions and picnic plans. Enjoy your drinks with style while reducing your carbon footprint with this canvas bag.